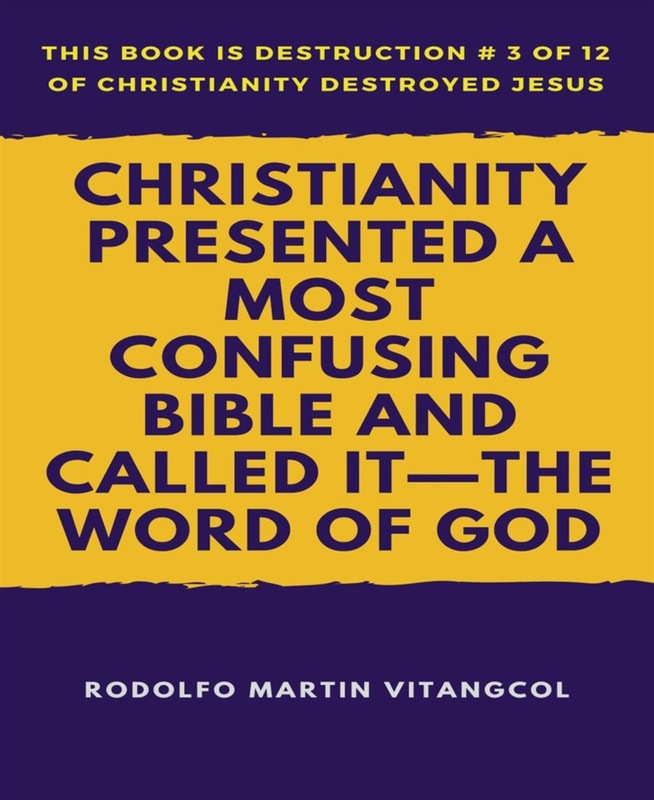 The whole Christian Bible is a hodgepodge of conflicting stories and doctrines that it can spawn up a million and one sects where no two sects can be seen exactly alike. And that is precisely what has happened with our Christianity—the most confusing religion in the world with a thousand and one competing sects, and with a thousand and one more new sects to come. Indeed, the Bible, taken in its entirety, is a veritable corruption of the Word of God. Jesus is the one and only true "LIVING WORD OF GOD"—no other. And only through him can the world be set free—not by any wisdom of any man. All the pure and living truths about Jesus are to be found exclusively in the Gospel of Matthew, Mark, Luke and John. The Gospel of the four authors can stand alone as the complete "Message of Salvation of God" for the world. Hence, if we want to know about the true "LIFE AND TEACHINGS OF JESUS," meet Jesus in the Gospel of Matthew, Mark, Luke and John—not in the corrupted version of Paul's. Amen. 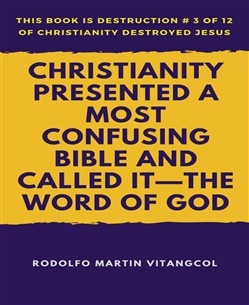 Acquista Christianity Presented a Most Confusing Bible and Called it—the Word of God in Epub: dopo aver letto l’ebook Christianity Presented a Most Confusing Bible and Called it—the Word of God di Rodolfo Martin Vitangcol ti invitiamo a lasciarci una Recensione qui sotto: sarà utile agli utenti che non abbiano ancora letto questo libro e che vogliano avere delle opinioni altrui. L’opinione su di un libro è molto soggettiva e per questo leggere eventuali recensioni negative non ci dovrà frenare dall’acquisto, anzi dovrà spingerci ad acquistare il libro in fretta per poter dire la nostra ed eventualmente smentire quanto commentato da altri, contribuendo ad arricchire più possibile i commenti e dare sempre più spunti di confronto al pubblico online.